LONDON (Reuters) - Randgold Resources reported a 24 percent quarter-on-quarter fall in profit on Thursday as production at its mines declined and costs rose. First quarter profit totalled $66.5 million, down 24 percent from the previous quarter and down 22 percent from a year earlier, the London-listed company said in a statement. Production fell 16 percent to 286,890 ounces from 340,958 ounces in the fourth quarter on lower output at the Loulo-Gounkoto complex, Tongon and Morila mines. Costs rose to $720 from $627 per ounce. 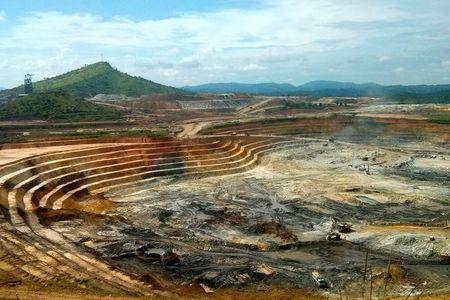 Randgold, which has operations in Mali, Senegal, Ivory Coast and the Democratic Republic of Congo, was hit by labour stoppages at its mines but the company said its full-year targets were on track.